The average height of the city of Granada is 738 m. The population is about 240 000. Granada was originally called Gárnata which could mean “hill of strangers” in Arabic. Granada is about 65km from the Mediteranean sea. One of the nearest beaches is at Salobreña which would take 55 minutes by car. There is a ski station 35km from Granada in the Sierra Nevada mountains. The Alpine World Ski Championships were held there in 1996. There are 105 kms of alpine skiing runs. It takes about 45 minutes to get from the centre of Granada to the ski station. The ski season normally lasts from the beginning of December until the end of April. Andalusia has a very high proportion of sunny days even in the winter and usually there are beautiful blue skies and warm temperatures. It is possible to ski in the morning and sunbathe at the beach in the afternoon on the same day. The Sierra Nevada Mountains. The hook at the top is veleta. The highest point is Mulhacen at 3,479 metres. The most famous monument in Granada is the Alhambra and is one of the most visited tourist attractions in Spain with about 3.2 million visitors per year. The Alhambra is a hilltop palace and fortress complex which combines fortifications, gardens, churches and several palaces. 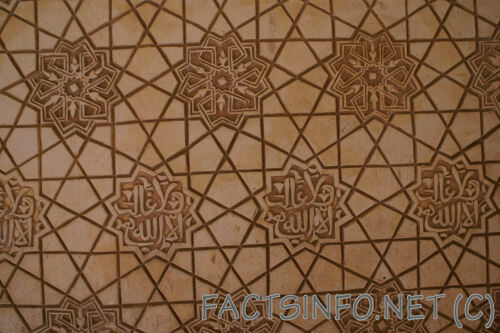 The name Alhambra comes from “red castle” in Arabic. 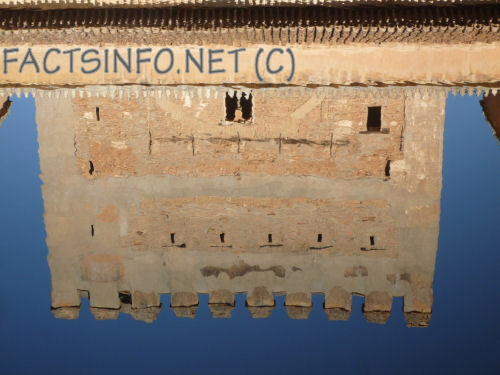 Construction started in the 9th century with a small fortress and then went on for many centuries. 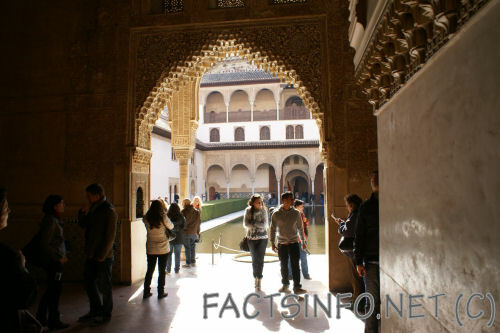 The first palaces were built in 1238 and were home to many leaders such as caliphs, emirs, sultans, kings and their entourages . 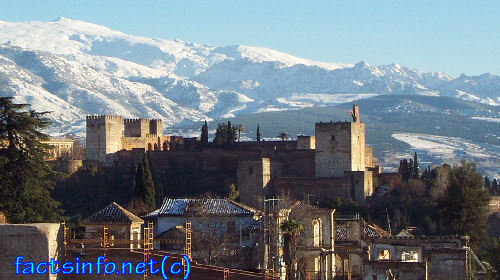 Photo taken from the Alhambra. 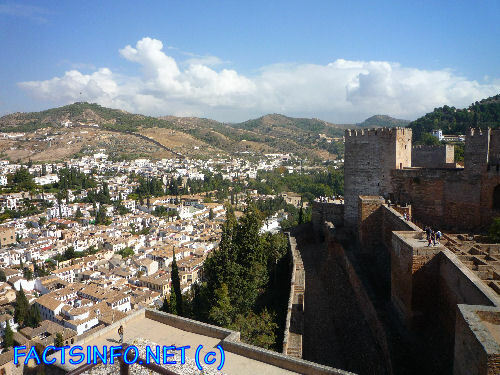 On the left you can see the Albayzin and the Sacromonte. Granada has hot dry summer and cool winters. In July and August the temperature is often over 40C. In 2017 several all time temperature records were broken. On July 12 the temperature reached 45.7C. Granada has a fairly low humidity so high temperatures are not as uncomfortable as they could be. In the winter frosts are not uncommon but if it is sunny the temperature can be warm enough to sit out in a “T” shirt, it cools down rapidly as soon as there is cloud. November and December are the wettest months however the amount of rain can vary significantly from year to year and droughts are frequent. The most interesting barrios (neighborhoods) in Granada are the Albayzin, the Sacromonte, Realejos and the central area around the cathedral.